Amy and her daughter Emily founded the Juniors program in 2007, and Amy served as Program Director and Novice Coach through 2014. This season she’s job sharing with Sara Younger. Sara is joining our Juniors program this Spring as our new Head Novice Coach and Program Co-Director. Sara Younger began rowing in 2007 while living in Tulsa, Oklahoma. After one year of rowing and competing with the Masters program she was offered the Head Coach position for the Junior Novice Girls. During her first year coaching, the novice girls placed in every regatta. In 2009, Sara purchased a single scull and began training with rowing coach, Marlene Royle. Sara continues to train and compete as a lightweight single sculler in National and Regional regattas including Masters Nationals, Head of The Charles, Head of the Hooch, The Heart of Texas, and Head of the Fish. Sara holds a USRowing Level I and Level II Coaching Certificate and has also attended the Coaching Education Track at Craftsbury Sculling Center. Scott started his rowing career with Boston University Crew where he rowed all four years. His 2K times at the CRASH B indoor rowing championships as a collegiate rower were legendary! 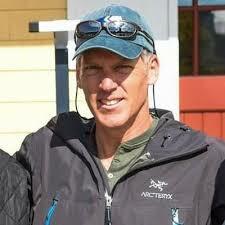 Scott has been with the program for five years and has coached both the boys’ crew and the girls’ crew. Both of his daughters and his step-daughter rowed for the team and his step-son joined the team as a novice in the spring of 2016. Scott works for AMgen, an American multinational biopharmaceutical company headquartered in Thousand Oaks, California. Located in the Conejo Valley, AMGen is the world’s largest independent biotechnology firm. An avid year-round endurance athlete, Scott competes both as an elite single sculler and as a member of the elite racing club, Chinook Performance Racing. Head of the Charles, as well as the CRASH-B’s and other ergometer races. Charlie’s favorite recognition is when he tied his mentor and each received 2nd place in the 2012 Maine Rowing Association Season Series Henry Bird Award. Having attended more than a half dozen week-long rowing camp sessions over the years, Charlie has been advised by a variety of college crew coaches and even a few Olympians. Applying his improved rowing technique and efficiency makes exploring Maine’s coast much more enjoyable. Charlie and his wife Jennifer live in the home they built together in Falmouth where they raised their son Hudson. Charlie is a Software Engineer at Tyler Technologies in Falmouth. Bob is the guy who keeps our shells and gear and relations with our boatyard neighbors in good repair. Bob rowed at Phillips Exeter Academy and Brown University. A retired lawyer, he now races with our Masters Men’s Crews and gets out in his single whenever possible. Bob also serves as the club historian, serves on the Board of Directors, and puts his extensive knowledge of the sport to good use as one of our YRC bloggers. Dave has been with the youth crew almost from the very beginning in a quiet, behind-the-scenes manner. He helps us get the safety launches serviced in the spring and fall and coordinates the transportation of the safety launches to the float once the dock is in and the tide is right. He has been instrumental in developing our cold-water safety training, swim test requirements and emergency protocols. During the season, he keeps the launches in good repair and makes sure we have the appropriate safety gear both on and off the water. A meticulous record keeper, he knows exactly what has been done – and what needs to be scheduled and when – to keep the fleet in the best possible condition.